Family getaways are one of the things I always look forward to. This is the time when the whole family gets together on a memorable bonding and vacation experience. Since time is always a concern, I will share to you some Top Budget-Friendly Getaways for Families near Metro Manila that you may consider for your next adventure with your family. 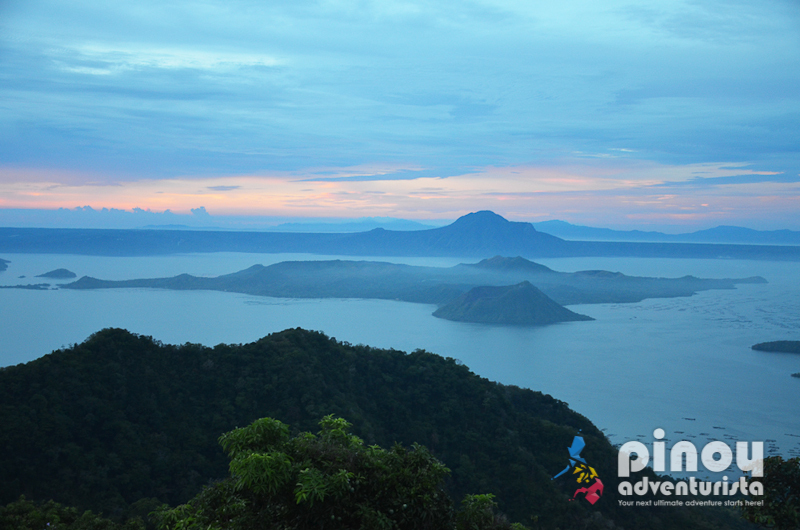 Whenever we think of family getaways, Tagaytay will always be a top favorite. This city in Cavite offers not just cool climate but also a wide array of attractions and things to do that the family will surely enjoy. More to that it is also home to many restaurants and hotels that are ideal for a weekend overnight trip. For ease and convenience, you can avail Tagaytay getaway packages and get most out of your family time, such as Pampering Session Package and Healing Cooking Class at Nurture Wellness Spa, a 3-Course Tasting Menu at T House Tagaytay, a Yin Yang Rejuvenation Package at Qiwellness Living Tagaytay, or a Day Tour with Lunch and Snacks at Hotel Kimberly Tagaytay. For your overnight stay, you may also check out my favorite hotels in Tagaytay such as Crosswinds Resort Suites, Taal Vista Hotel, and The Lake Hotel Tagaytay. 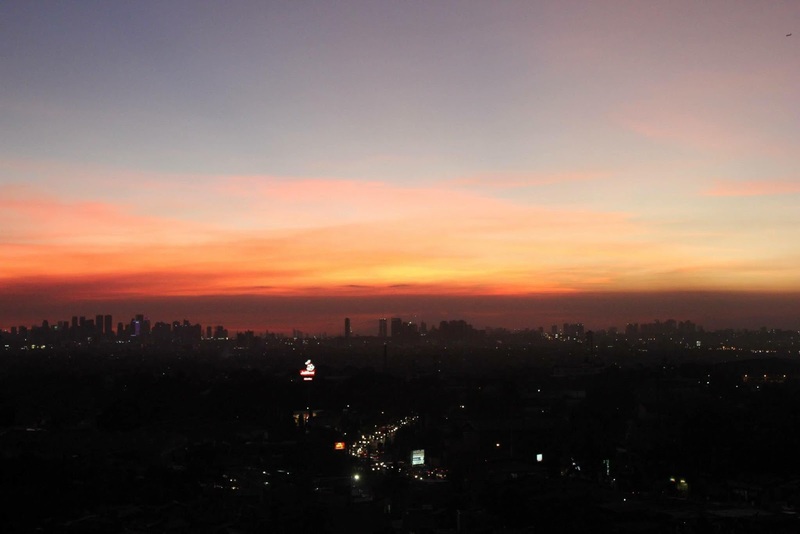 For kids’ activities, you may visit Sky Ranch, The Puzzle Mansion, as well as the all-time favorites Picnic Grove Park and Palace in the Sky. Tagaytay is also a good place for food tripping; you may dine at many restaurants such as Veranda Restaurant at Taal Vista Hotel, Mushroom Burger, The Lake cafe at The Lake Hotel, or visit Mahogany Market for a delicious bowl of Bulalo. Before going home, don't forget to bring home some Buko Pie or Buko Tarts from Loumars or Rowena's Pasalubong Haus. 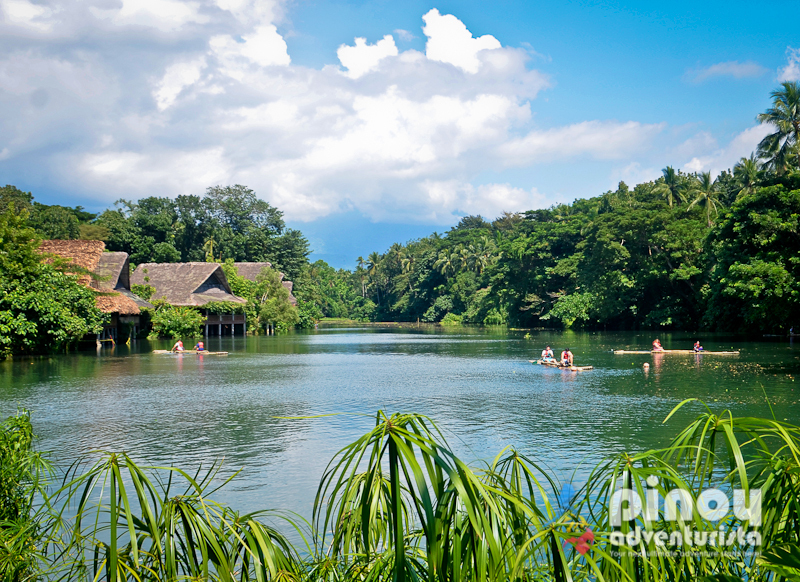 Located in Tiaong, Quezon, Villa Escudero offers a relaxing getaway with a cultural twist. 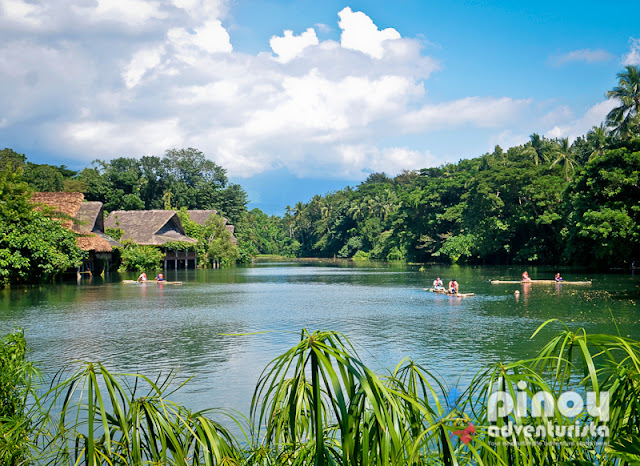 Ideal for the whole family, it's an awesome place to learn Filipino culture, ride bamboo raft, and feast on Filipino dishes while enjoying a man-made waterfall. You can avail day tour packages at Villa Escudero which already includes a welcome drink, museum tour, carabao cart ride, use of outdoor recreational facilities, lunch at the waterfalls, and cultural shows. They also have accommodation facilities if you want to stay overnight. It is an awesome getaway to relax and enjoy the time with your family while embracing Filipino culture and heritage, and of course Filipino food! Villa Escudero is located in Km 91, Tiaong, Quezon. For more information and rates, visit their website at www.villaescudero.com. Being half Batangueño, the province of Batangas a personal favorite of my family whenever we want to go on a quick weekend getaway. The province is littered with many beautiful beaches, resorts, historical places, old churches, adventure activities, and many more. There are many tourist spots and things to do in Batangas that the whole family will surely enjoy. If you want your kids to enjoy a huge inflatable trampoline park that floats just off the shores of Taal Lake, visit Club Balai Isabel in Talisay, Batangas. If you want to experience a Bali-inspired resort in the middle of lush greens, tall trees, and cool weather of Balete, Batangas, you may consider a Bali Inspired Day Tour with Lunch & Snacks Cintai Coritos Garden. It is an ideal hideaway for couples and families wanting to experience a unique and quiet vacation in Batangas. 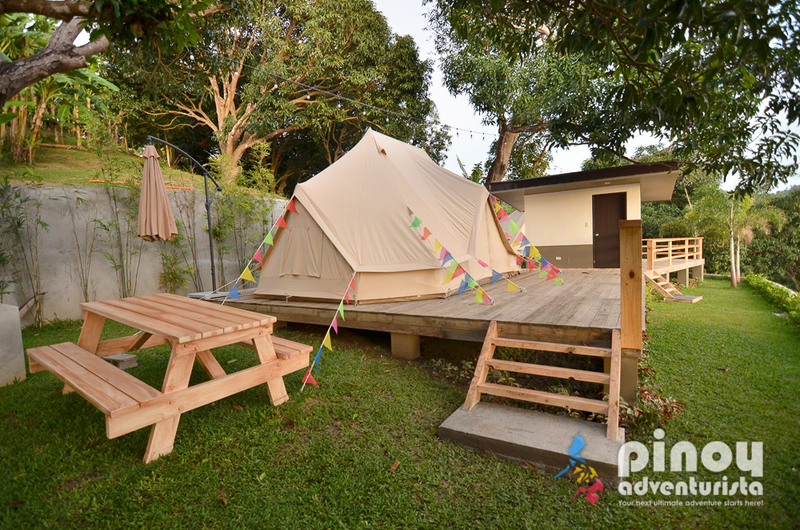 If you’re looking for a vacation like no other, check out the Glamping Package offered at Nayomi Sanctuary Resort. Offering well-appointed villas, and glamping sites, Nayomi Sanctuary is an ideal getaway destination for families wanting to experience a one-of-a-kind weekend adventure. The glamping getaway they offer is a definitely must-experience! I am quite sure, the whole family - including the kids - will definitely enjoy and have fun staying in one of their lovely and spacious bell tents. If you’re looking for a beach resorts in Batangas, a good choice is Camp Netanya in Anilao. Located along the shores of Mabini, Batangas, this Santorini-inspired resort is a perfect temporary home while you enjoy the beach of Anilao, and its rich marine life and breathtaking coral formations. Before going home, be sure to buy some souvenirs and food items that you could bring back. The most popular pasalubong are: Kapeng Barako, Panutsa, and Bagoong Balayan. A tadpole-shaped island located in the province of Cavite, Corregidor Island is one of the most popular day trip destinations near Metro Manila. As one of the important historical sites in the country, this is also a good place to explore for families. Considered as "one of the country’s last military bastions," it served as one of the harbor defenses of Manila Bay during the Second World War. Full of history to tell, it’s an ideal place to bring the whole family - especially the kids for them to learn more about our country’s history. It can be reached via a one hour and 15 minutes ferry ride from Manila. There are many interesting attractions on the island, like the Mile-Long Barracks, Malinta Tunnel, the Spanish Lighthouse, Pacific War Memorial Complex, and the Eternal Flame of Freedom, just to name a few. It also has hotels and beach cottages for you to stay in if you wish to stay overnight on the island. 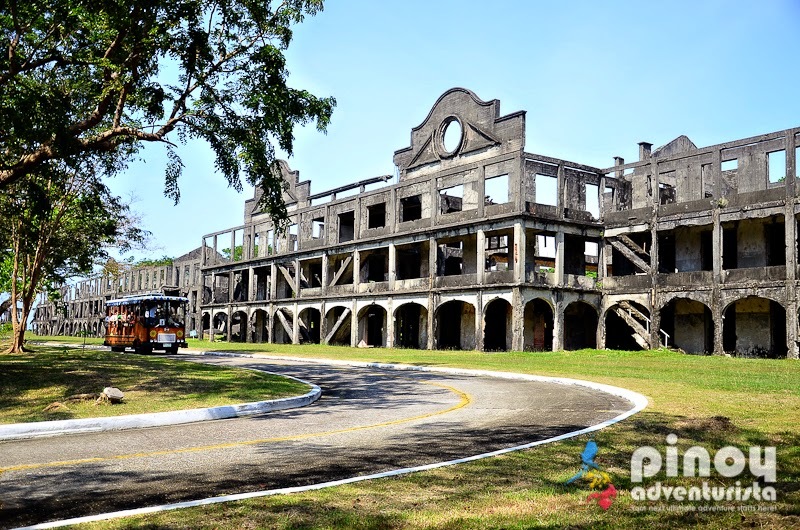 I highly recommend that you visit Corregidor Island and see how lovely this place is. Aside from learning more about our history, it offers a lot of amazing things to do that the whole family will definitely enjoy. 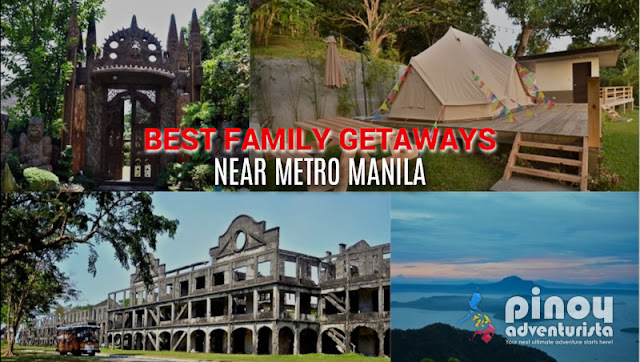 It's an awesome choice if you're looking for a quick family getaway near Metro Manila or if you just want to escape the "hustle and bustle" of the Metro, even just for a while. If you want a quick weekend getaway from the hustle and bustle of the city, but still want the cozy vibes of being near to home and close to nature, Antipolo City is the best place to be. Located just over an hour away from Metro Manila, Antipolo is home to many resorts and hotels, farms, adventure camps, and natural attractions that the family will surely love and enjoy. Before going back to Manila, be sure to buy some Antipolo specialties such as Suman, Mangoes, Cashew nuts and Kalamay. Yummy!!!! So, what are you waiting for? Plan now a memorable family getaway to any of these awesome budget-friendly destinations near Metro Manila!